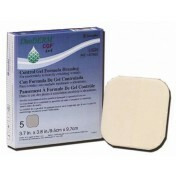 Not all dermal abrasions are in need of a thick, heavily-coated dermal wound cover. 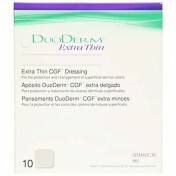 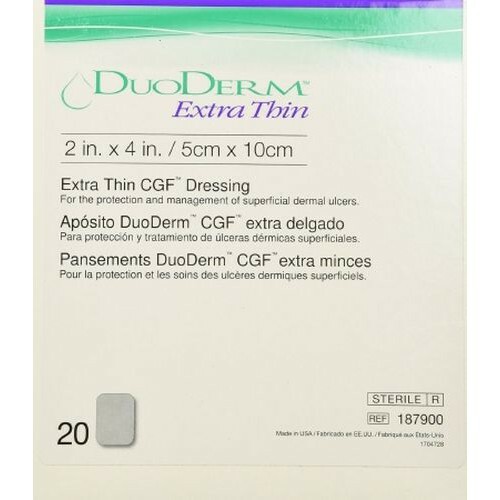 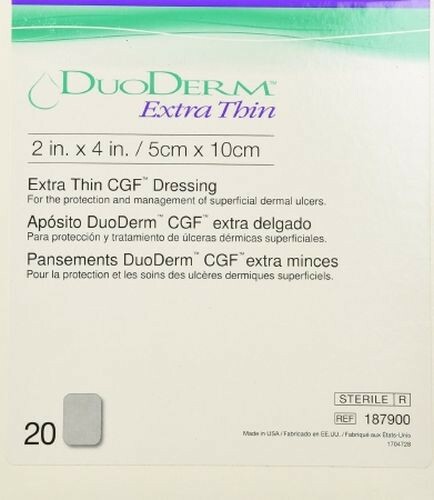 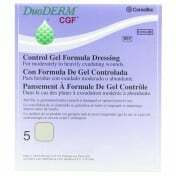 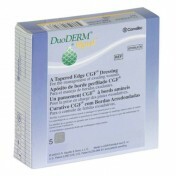 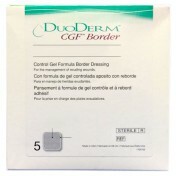 Convatec's DuoDERM Extra Thin Dressing is a small, simple and thin-layered dressing with CGF that covers minor dermal abrasions. 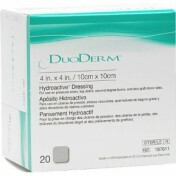 The hydrocolloid present in the cover is able to expand as moisture enters the dressing. 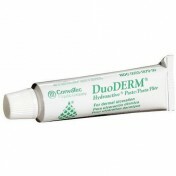 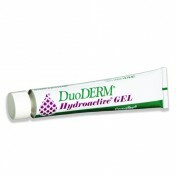 The expansion helps create a seal around the wound while protecting the skin from outside contaminants. 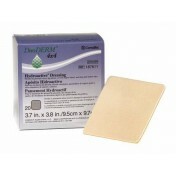 Its rectangular shape helps cover a longer abrasion and protects the surrounding skin.